For introductory courses in product technology and process controls. National standard for process technology basics Introduction to Process Technology is part of the NAPTA Series for Process Technology. Developed in partnership with Industry and Education, this unprecedented collection supports a consistent curriculum and exit competencies for process technology graduates. 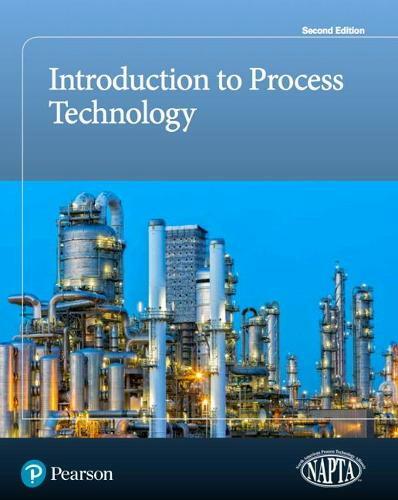 Introduction to Process Technology provides learning material for the first course of a process technology program. The updated 2nd edition aligns with the new NAPTA curriculum. It focuses on safety, explores the industry's modern-day processes and legislative influences, and includes new critical-thinking exercises, graphics, and instructor resources.